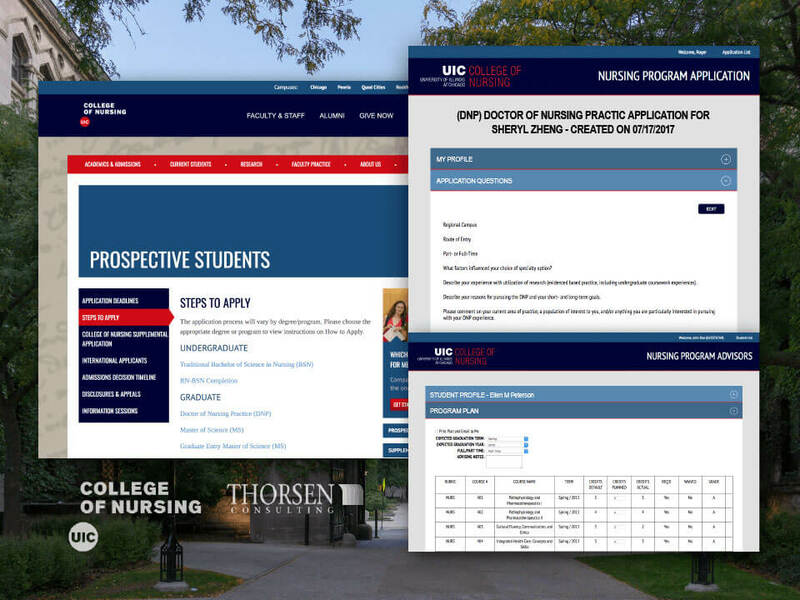 Thorsen Consulting partnered with Tek-Connect to deliver the web front-end for their student registration program custom-built for the University of Illinois at Chicago’s nursing program. The web application needed to modernize the registration process, be intuitive for new applicants, flawlessly connect with the university’s authentication protocols, and integrate with the admissions office’s backend FileMaker database. Tek-Connect used FileMaker’s Custom Web Publishing tools and PHP to quickly extend the solution to the web and to leverage the server infrastructure already in place. This best-of-both-worlds solution allowed the team to maintain the flexibility of FileMaker while seamlessly integrating with the University’s website, both at design and technical levels.